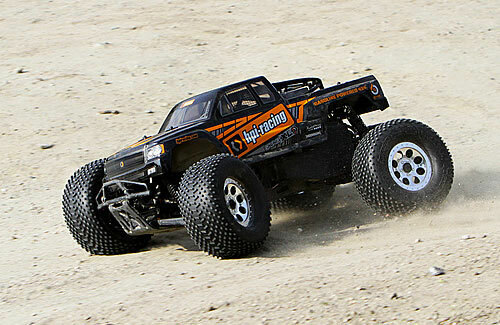 All Products > "109073 HPI Racing Savage XL Octane RTR"
You know what the Octane is all about: the Savage XL chassis fitted with the ground-breaking 15cc gasoline Octane engine. Fistfuls of aggression, gigantic size, cheaper fuel costs and extra-long runtimes - what more could you want? The grunt from the Octane engine lets you throw up dirt roosts and blast through sand, leaves, mud and water with ease! The Savage XL Octane's 3 speed transmission lets you experience quick acceleration from a standing start, plus ground-shaking top speed! 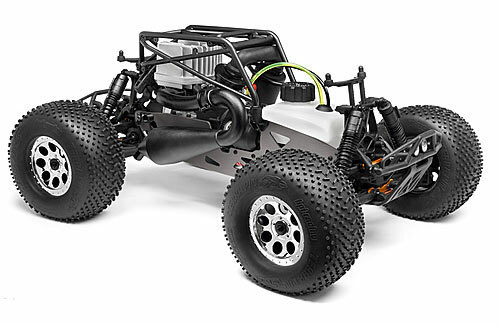 A 4-shoe Quadra clutch gets the power from the engine to the drivetrain in no time flat, and the all-metal, ball bearing-supported 4WD shaft drivetrain is super-durable to handle whatever you come across. 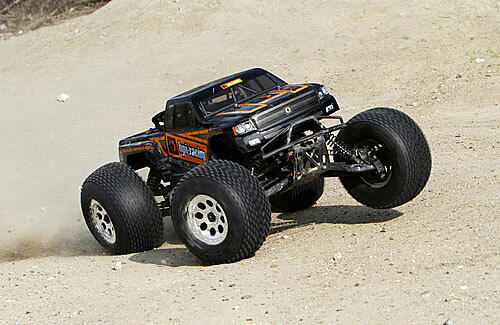 The XtraLarge wide track and XtraLarge wheelbase of the Savage XL chassis work with the XtraLarge Terra Pin tires to make the Savage XL Octane easy to drive and maneuver over and through jumps and obstacles...or whatever is in your way! 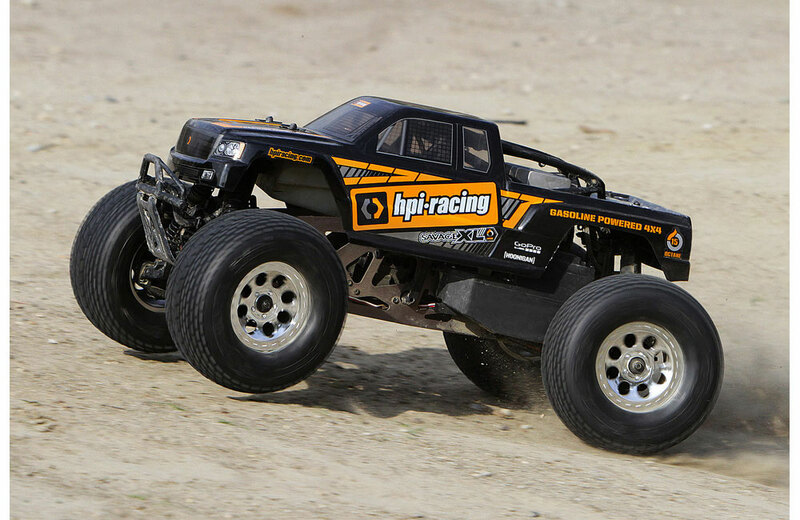 The Savage XL Octane is completely pre-built, just like all RTR (Ready To Run) vehicles from HPI Racing. The engine is a pull-start design, and easily starts with a single tug. Rechargeable HPI Plazma battery packs and AA batteries are included to power the hassle-free 2.4GHz radio system and engine control system - all you need to provide is pump gasoline and 2-stroke engine oil. The GT15C Octane engine is a huge 15cc two-stroke gasoline-powered beast that's bigger than any nitro-powered engine by far! 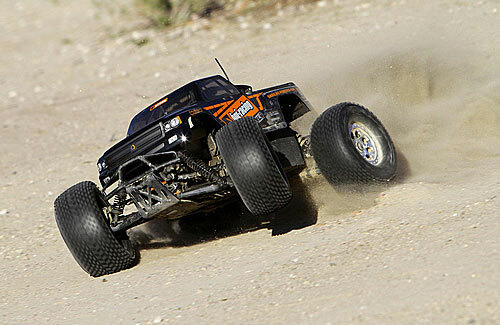 At nearly 3 times bigger than the engine in the Savage XL 5.9, it's LOUD, BRASH and POWERFUL! The Octane engine is fitted with a tough pullstarter system that gets the engine going with a single easy pull. A custom electronic management system keeps everything ticking over perfectly, so you can keep driving as long as you want! The Savage Octane XL has loads of power - probably more than you'll be able to use! If you want quick acceleration, rock-steady running, impressive top speeds and hassle-free fun, the GT15C is the way to go! With fill-up-and-go convenience, you'll wonder how you got along without the convenience and low cost of driving the Savage Octane!